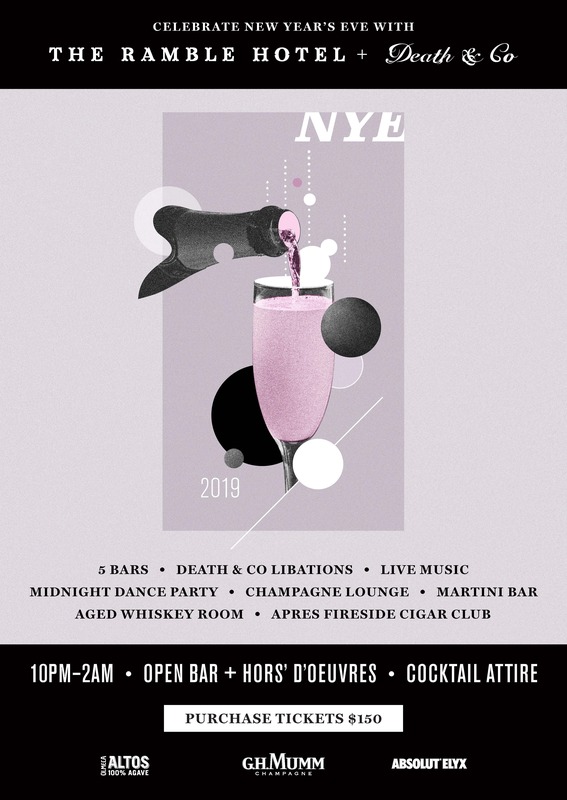 Celebrate NYE with Death & Co and The Ramble Hotel! Attendees: We are limiting invitations to 250 guests for a lively, but well curated evening. Food and Drink: Open bars with Death & Co libations + passed Hors’ d’Oeuvres. What to Expect: A fully activated property with plenty of exploration to be had. Live music will feature a soulful songstress from New Orleans, in addition to a baritone crooner. Once the clock strikes midnight there will be a late night DJ set to ring in 2019.